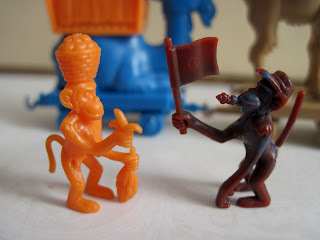 I've posted before about a big pile of R &L Company cereal premiums I found at a toy show a couple of years ago. 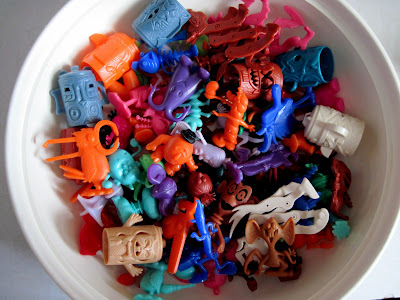 Since then, I've added quite a few more R & L pieces to my collection. Here's one of my favorite sets. In the late 1960s, an artist named Harry Hargreaves was asked to come up with an idea for a cereal premium set to be distributed through Kellogg's and manufactured by the R & L plastics company in Australia. Hargreaves recalled the camel caravans he had seen while stationed in Egypt during WWII, long lines of laden camels walking in single file, commonly called "camel trains." 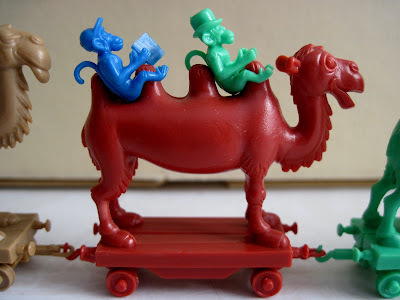 Taking the phrase literally, Hargreaves crafted a beautifully designed set of tiny toys comprised of camel train cars with monkey passengers. 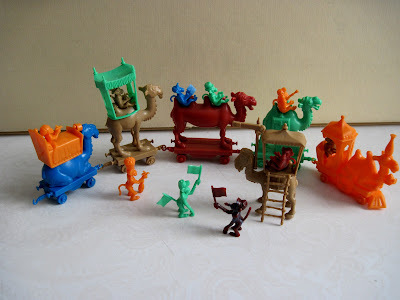 Made of a brittle plastic with delicate connector hooks, the toys are very fragile, and this fact, coupled with their very small size (the seated monkeys are a wee .5 inches tall, and the cars average 1.5 inches long) meant many were broken and lost over the past 40 years. 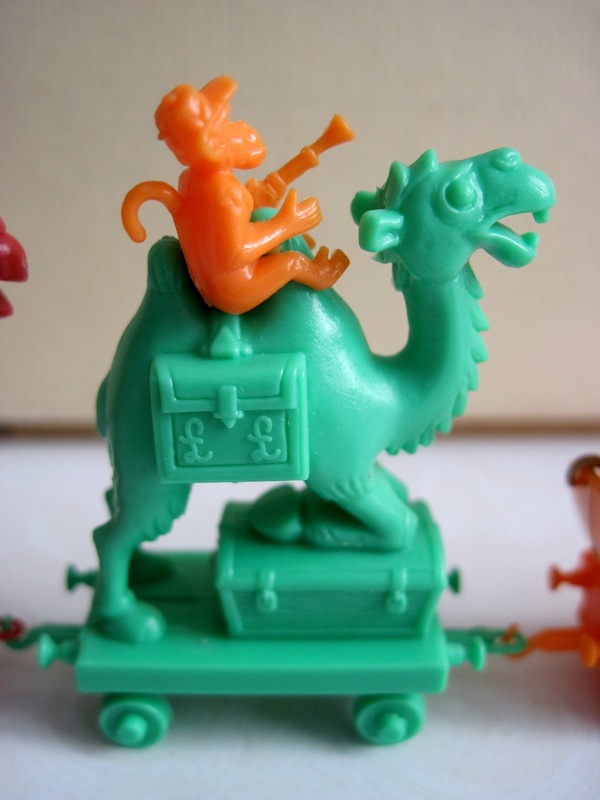 The R &L Camel Trains are now some of the company's most sought premiums. 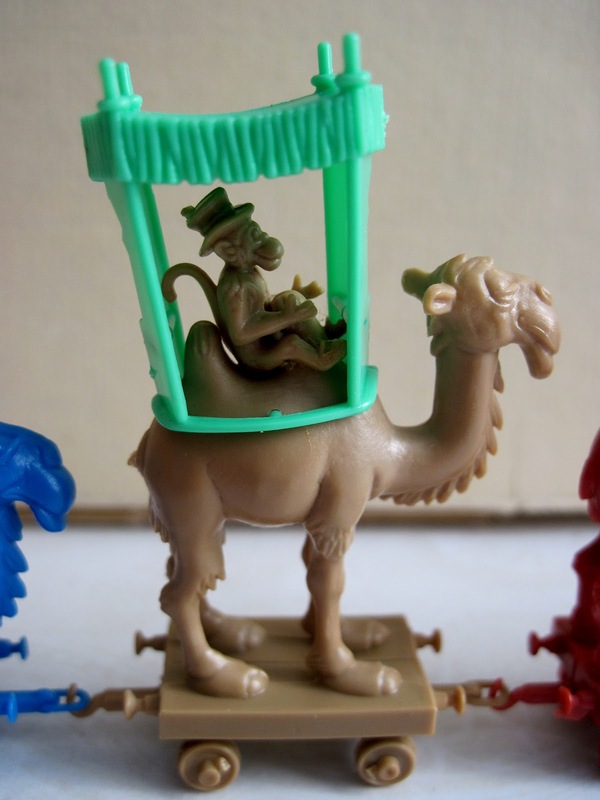 Each camel came separately in a box of cereal, and so did two accessory sets of the bed, canopy and some of the monkeys, which made collecting the whole series even more challenging. 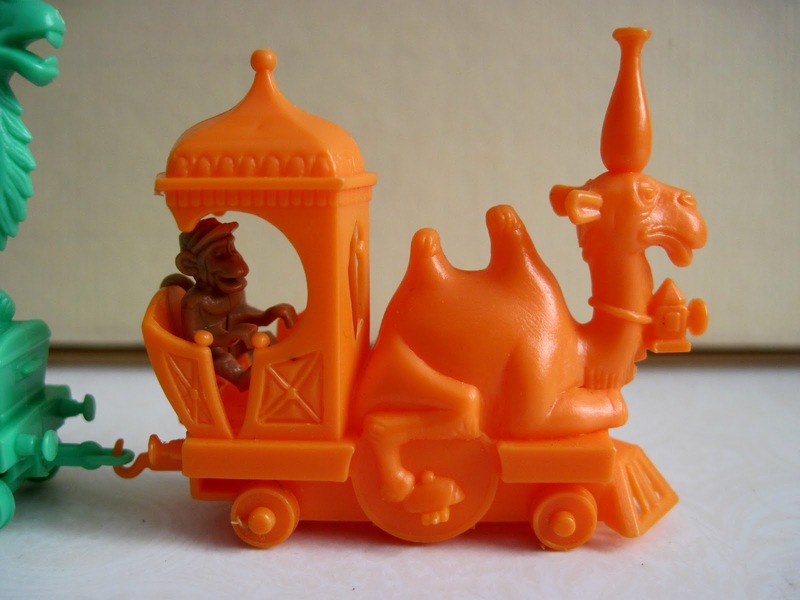 I can just imagine the frustration of children who got the sleeping car camel or first class camel, but never managed to find the bed or canopy to complete those cars. What a dastardly yet brilliant marketing campaign! 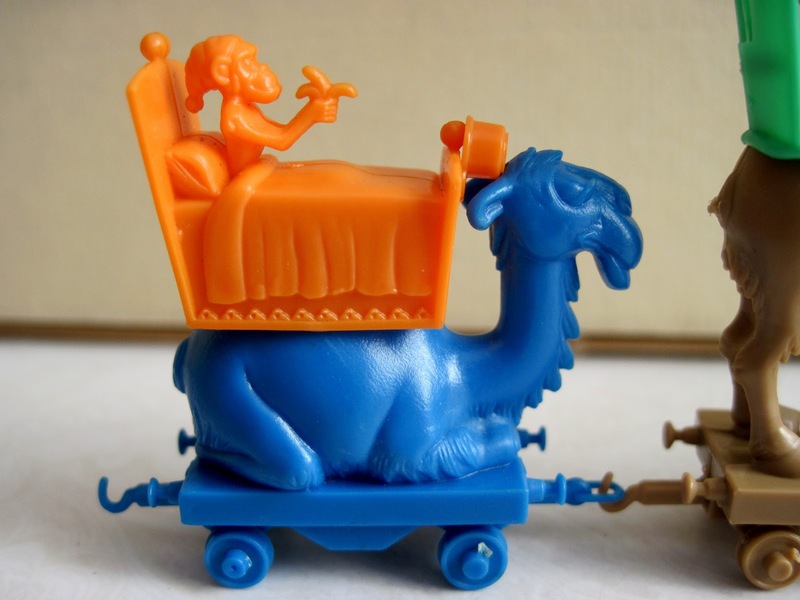 And last but not least is the sleeper car camel, in which a tiny monkey rests in a bed borne on the back of a kneeling camel. A tiny bed pan (usually missing) hangs from the end of the bed. 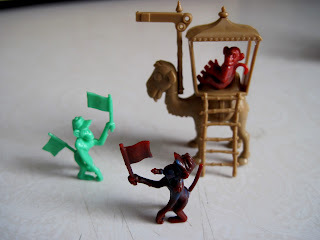 Another camel was necessary to complete this set: the signal camel, along with a couple of flag waving monkeys. Without this set, your camel train would be sure to run into difficulties along its route. The ladder is detachable, making this another difficult set to find complete. Stay tooned: lots more R & L to come!